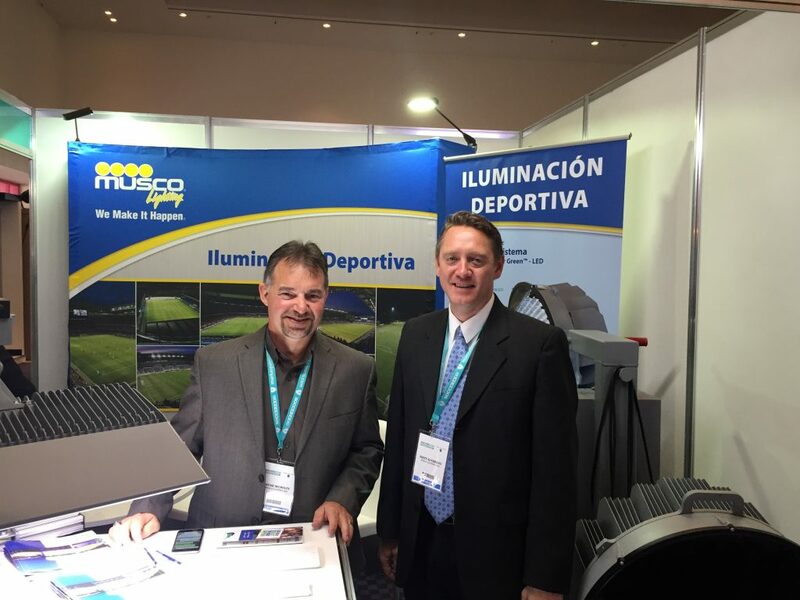 The Soccerex Americas Forum took place in Mexico City on the 11 – 12 May at Camino Real Polanco México. The event combined a conference, exhibition and program of structured and social networking opportunities. It brought together the buyers and suppliers from the football industry across the Americas for 2 days of insight, networking and business. Terraplas was represented by Mike and Sally Bean , Terraplas USA and the Brothers Servantes Representatives of Mexico and Latin America. Leyard Sports Division was represented by Paul Anderson, who is the Vice President of Market Development within Leyard Sports Division and also president of ESSG.